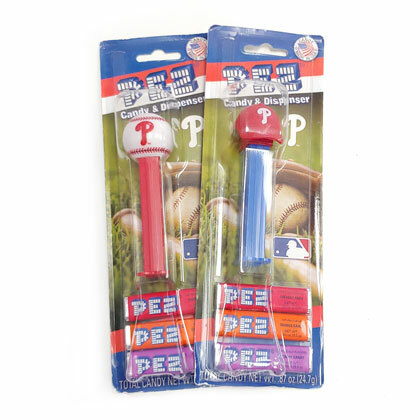 Classic candy dispenser with Philadelphia Phillies logo! Net weight is .87 oz of candy. Style will vary depending on availability.